After a productive summer, our wildlife now has to contemplate how and where it will survive the onset of a much harsher season – winter. Some will find that Nosterfield will provide all their survival needs. 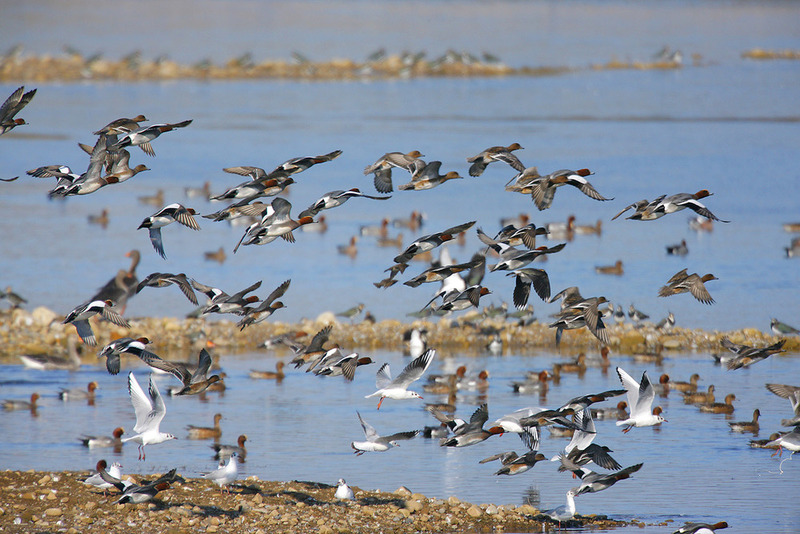 So during September flocks of birds such as wigeon, teal, lapwing and golden plover will arrive in large numbers to take up a winter residence. Some will have traveled thousands of miles. Many wading birds such as wood and green sandpipers, greenshank and ruff will stay only a few days, using Nosterfield as a feeding station, conveniently placed between their breeding sites in the Arctic and their winter feeding grounds near the Mediterranean and Africa. It's a great time of year to see the abundance of fruit and berries on our trees and hedgerows, fungi on the ground, perhaps a small copper or peacock butterflies on a sunny and still warm day. 'Tis the season of mists and mellow fruitfulness'.